APiF: Please introduce your business and your designs. Doreen Mashika: Whilst worldwide many customs are in transition, the Doreen Mashika brand firmly believes that the bedrock of traditional cultures in Africa is still a powerful force, and one that should be celebrated! What’s not to love about the uniqueness and splendor of African fashion? The label is inspired by a deep affection for the immense cultural heritage that the continent offers. I am combining this with a design philosophy, learned from considerable experience in the Western fashion and luxury goods sector. Doreen: It would be a woman who is aware of global trends but discerning enough to eschew obvious “status” brands for innovative accessories, to enhance her individual style. In short, she embraces African identity to result in a look that is fresh! APiF: Is it true, that one of your bags was sent to the First Lady – any feedback yet? Doreen: Yes, we received a personal thank you letter with words of encouragement about the DM brand initiative. We were very excited. Doreen: Apart from traveling being exciting, I find that it indirectly improves my design work. It’s like fuel for your brilliant work, and traveling constantly refuels me. Nature too, it never fails to bring something new and different to our eyes. 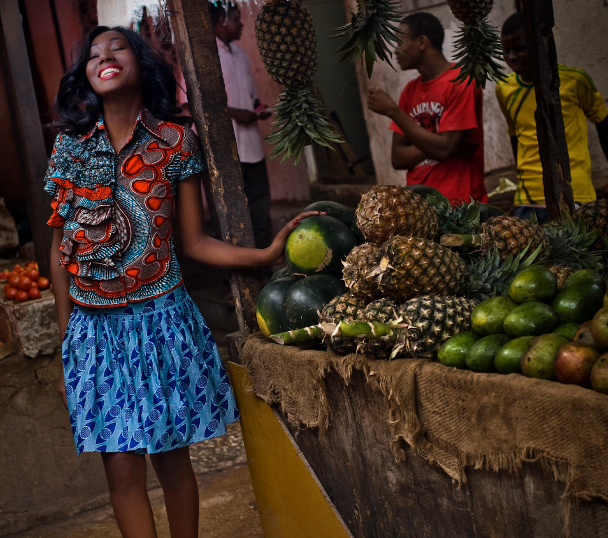 Doreen: Our flagship store is located in Stone Town, Zanzibar, where we receive tourists from all over the world. Apart from that: Fenwicks of London will be stocking our works for the second time this season. We are also coming up with an online shop. So stay tuned as Doreen Mashika comes closer to your doorstep! Doreen: Remain authentic. The most powerful asset you have is your individuality, what makes you unique. Always put things that inspire you in your work, look to the world around you to inspire you. Keep up with current fashion trends but do not just copy them, be original and creative. Travel the world if you have a chance, because other cultures have such interesting varied views on fashion. Remember to listen to constructive criticism, always go for your dreams and do not let anyone tell you that you cannot make it! Note: Doreen Mashika has created Kanga print smartphone cases for Apple iPhones and Samsung Galaxies. Pretty cool, right?